"A match made in Thespic heaven: Theatre Latté Da, our premier purveyor of music theater, known for its non-treacly and trenchant intelligence and its astonishing ability to produce super-high-quality theater on a strict budget. 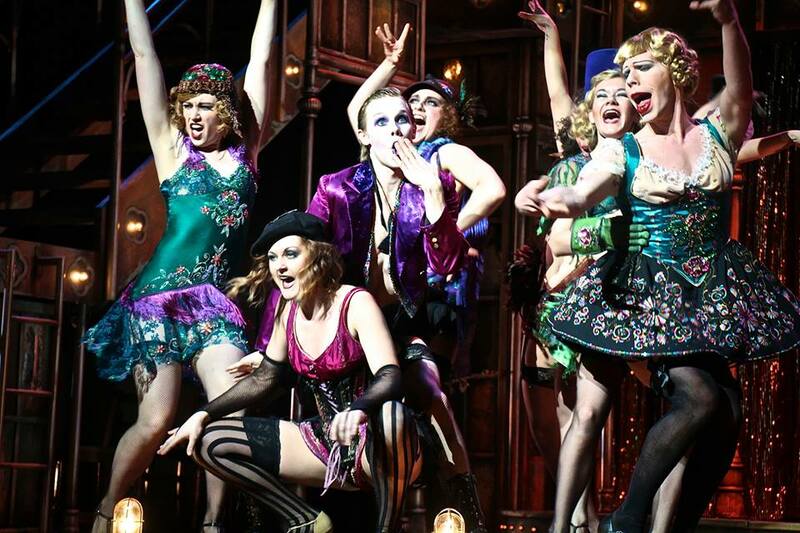 And Cabaret, (John) Kander and (Fred) Ebb‘s great masterpiece, set in the early 30s, in the Kit Kat Klub, where raunchy “beauty” (“Even ze orchestra is beautiful”) holds sway even as, outside, Weimar Berlin descends into Nazi madness." "Rothstein’s production “Cabaret” opened Saturday night at the Pantages Theatre with Michaels flying in out of nowhere and landing in the lap of a patron. Not a bad trick if your intent is to knock people off their assumptions about what’s fair game in theater." "This crisp, naughty and propulsive production has a vigor and an energy all its own."